Discovery Cube OC - Hands-on Learning That's Fun! 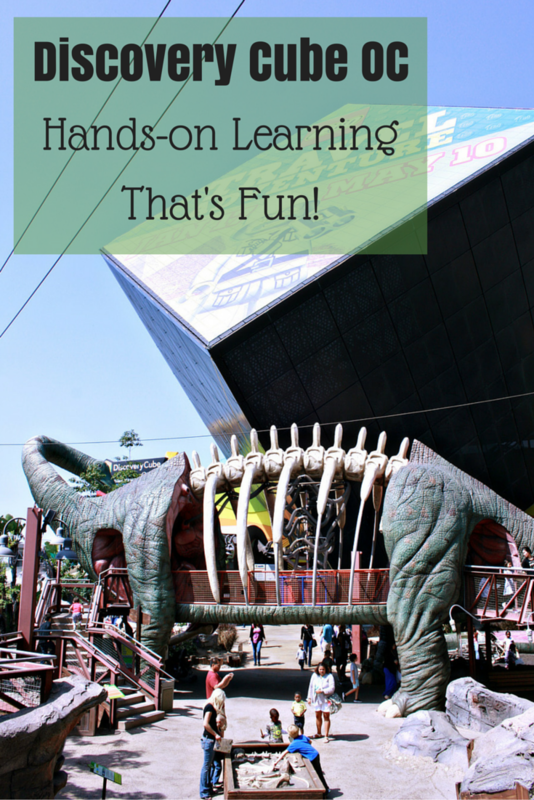 Home » Blog » Family Vacations » Family Vacations in Los Angeles » Discovery Cube OC – Hands-on Learning That’s Fun! Discovery Cube OC – Hands-on Learning That’s Fun! If you’ve driven on the 5 freeway in Santa Ana, you’ve likely seen the Discovery Cube OC. Set right alongside the freeway, the giant black cube (and the skeletal dinosaur next to it) can’t be missed! And after a recent visit to this hands-on, kid-friendly museum, I have to admit that the Discovery Cube OC is a can’t-miss attraction! Only about five minutes away from Disneyland and 10 minutes from Buena Park (home to Knott’s Berry Farm and Medieval Times), the Discovery Cube OC is a destination in itself. You should reserve at least half a day to experience it all. The Discovery Cube OC offers both mainstay exhibits as well as rotating or limited time exhibits. 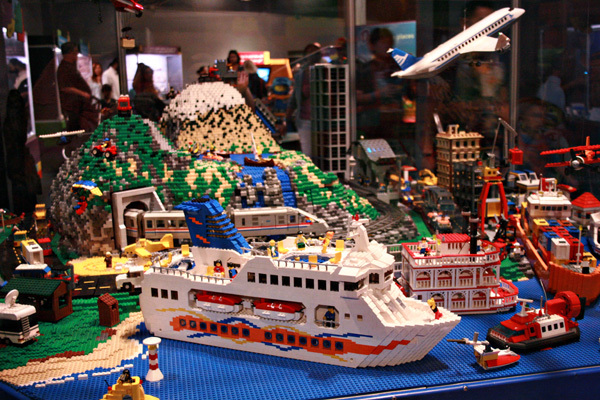 On the day of our visit, the limited time exhibits included National Geographic Presents: Earth Explorers and LEGO Travel Adventure. My kids are huge LEGO fans and probably could have spent their entire visit inside this area, building LEGO vehicles! 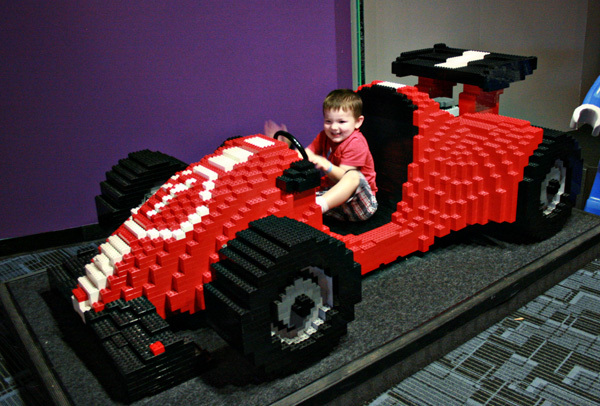 There were LEGO bricks of all sizes available for free play in addition to amazing large-scale LEGO creations. 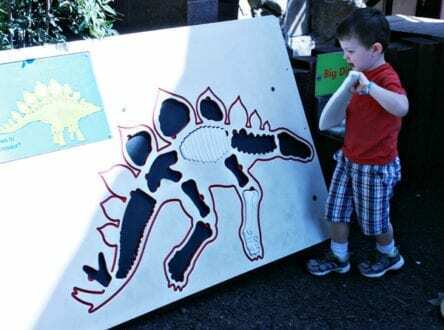 One of the popular mainstay exhibits is Dino Quest. This takes place completely outside so be aware that it may not be available to you during inclement weather. We found it quite windy and loud in this area (since it’s located next to the freeway). While on a Dino Quest, guests become “research assistants” with the aid of an infrared transmitter and challenge guide (borrowed from inside the gift shop). My 11-year olds enjoyed completing the “mission” while I followed my 3-year old around on the dinosaur-themed play area. There are some caves to explore and a dinosaur’s tail slide for preschoolers. 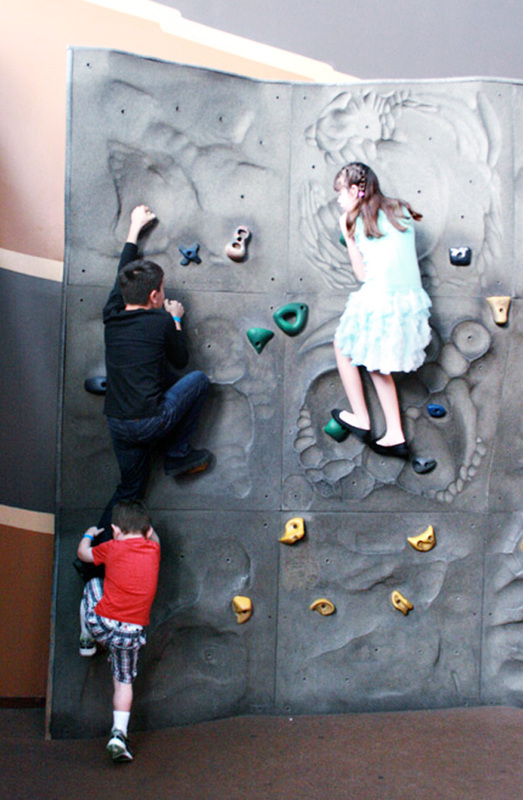 Back inside, my kids spent time climbing the Rock Wall. One of my favorite exhibits is the Shake Shack, where guests can experience historic earthquakes. Guests sit on a bench inside of an alcove that shows epic earthquake footage on a television screen while shaking your seat to that same magnitude. For dining, there is a Taco Bell/Pizza Hut Express inside the Discovery Cube OC. The gift shops also sell snacks and treats. Unfortunately the museum does not allow outside food and there are no in/out privileges so if you stay all day, plan on purchasing your meal. This was a little disappointing as we usually pack our own lunch when we are out for the day, simply to minimize expenses. My kids (who very rarely get fast food) were thrilled with the Taco Bell/Pizza Hut Express. The prices were reasonable and seating on the busy spring break day was ample. However the order and pick-up area was very busy and congested at all times.If you have two adults or a reliable older child with you, have one person get a table and another pick up the food because there is very little space to stand and wait. 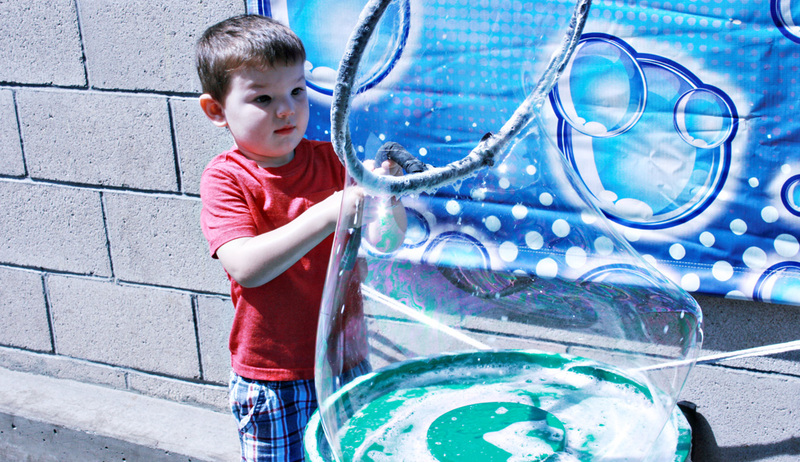 Our visit during Spring break took place during the 19th Annual Bubblefest. Bubblefest is an additional cost to your admission price and included access to outdoor bubble activities where kids could create their own giant bubbles. There was also an inflatable play zone, Bubble Rollers Water Spheres and a viewing of the 45-minute Mega Bubblefest Laser Show. I have never seen so many bubbles in my life, this was an amazing experience. The show alone was worth the price of the ticket, it was truly incredible! 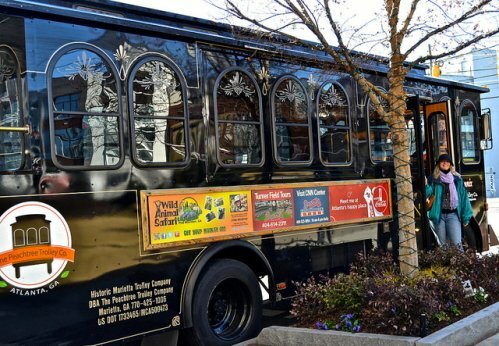 Over the winter holidays, guests can experience Winter Wonderfest and the annual Science of Gingerbread exhibit with lots of hands-on activities (there is an additional cost added to the price of the ticket to experience this event). The Discovery Cube OC has expansion plans that include a California Natural Resources Pavilion, ABC Early Learning Zone, Mission Control and Healthy Kitchen. Limited-time exhibits change frequently, so be sure to check the website before your visit. Adults $17.95, Children (3-14) $12.95, Children under 3 years old are free, Onsite parking is $5.00 (cash only). We attended during the Spring break Bubblefest which cost an additional $7.00 per person (in addition to the general admission). 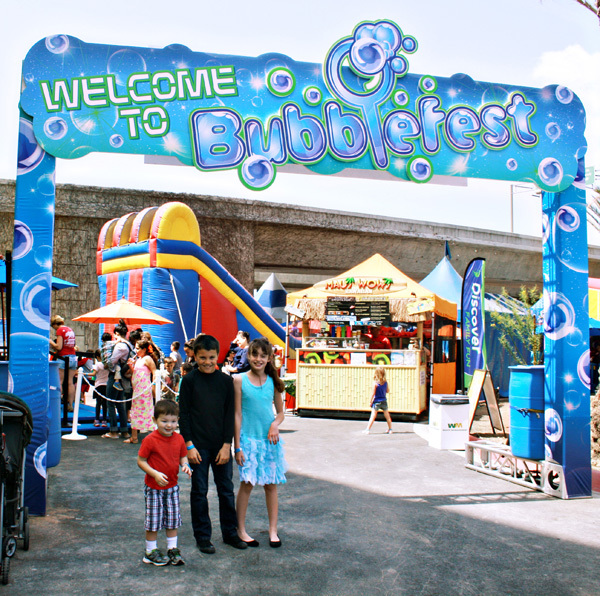 Bubblefest is an optional add-on and we were given wristbands to access the outdoor areas and show. Be aware that there are no in and out privileges. To make it a day trip, arrive when the museum opens. We spent nearly six hours at the Discovery Cube OC and still didn’t see everything! The museum was clean, restrooms were plentiful and there were staff members to help in every exhibit area. I strongly recommend visiting during Bubblefest if you can, this was definitely worth the additional charge to the general admission ticket. Though my 3-year old son was more interested in running around and touching everything, my two 11-year old kids got more into the science and learning aspects of the exhibits. There is as much for adults to explore and learn as the kids. If you are bringing very young babies, it’s recommended to leave the stroller at home as the spaces inside each exhibit can be tight. Plan on purchasing lunch inside the museum and then leave before dinner. On the day of our visit, we drove about 20 minutes north for dinner at Medieval Times. 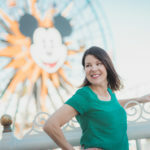 Dining at the Downtown Disney District is another fun option and you can close out the night by watching fireworks from the center esplanade at Disneyland.